In 2017, we tested Ford Performance Centre’s MS-RT Ford Ranger, a 200kW, dollied-up Ranger that retailed for R900 000. It was really cool, except for that asking price. And the fact that it wasn’t covered under Ford’s warranties. Now the game has changed with Ford Performance Centre’s Roush Ranger. 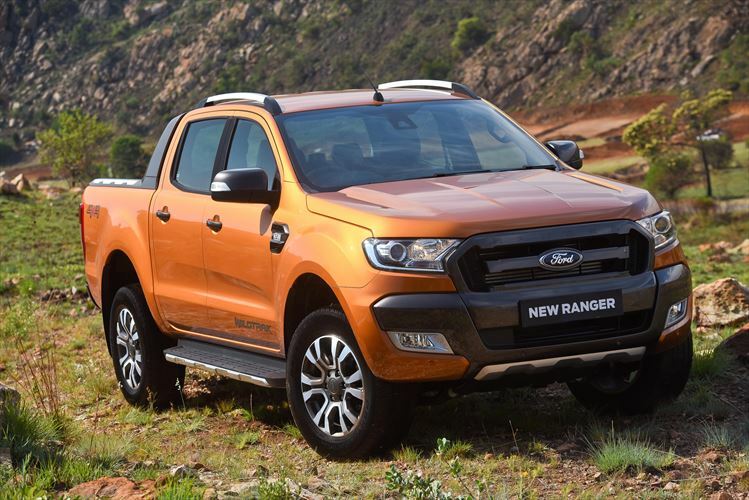 Let’s start by sorting that elephant in the room: The asking price of the new Roush Ford Ranger 3.2TDCi 4×4 AT RS3, with 200kW under the bonnet. All the bits and bobs will add R240 000 to the asking price of a Ranger 3.2TDCi 4×4 AT. So if you pay R601 000 for a brand new Ranger 3.2, it will add up to R840 000, which is about R60 000 less than the MS-RT used to be. However, the Roush version has a few extra tricks up its sleeve. 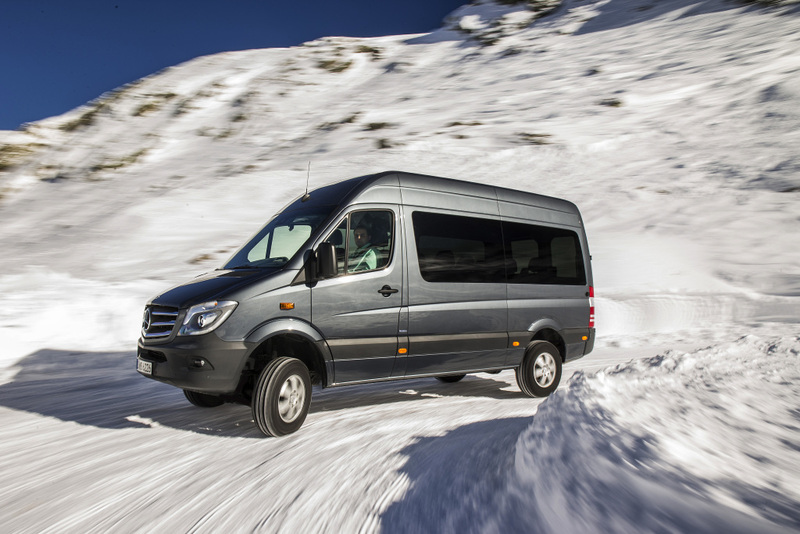 Like a Ford Protect three-year/60 000km warranty (which can be extended to four years/120 000km at extra cost). It also has an Aussie-made Pedders brake and suspension upgrade. And it still has 200kW of power and 650Nm of torque, courtesy of a hybrid turbocharger upgrade, a dual-pipe highflow catback exhaust system, an aluminium, uprated performance intercooler and a five-map engine software upgrade (chip). Compared to the MS-RT then, it offers better value for money, as well as more peace of mind. And one also has to consider the pricing strategy of some of its competitors. Like the new Mercedes-Benz X250d 4Matic Power, which retails for R820 000, but has 140kW and 450Nm of torque. 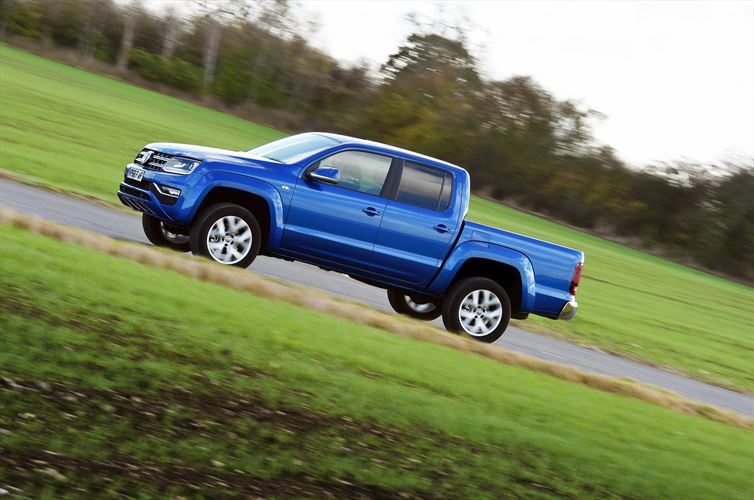 And Volkswagen’s Amarok 3.0TDI V6, which has 165kW and sells for R784 000. The new 190kW Amarok, which we recently drove in Oman, will most certainly break through the R800 000 barrier, too. 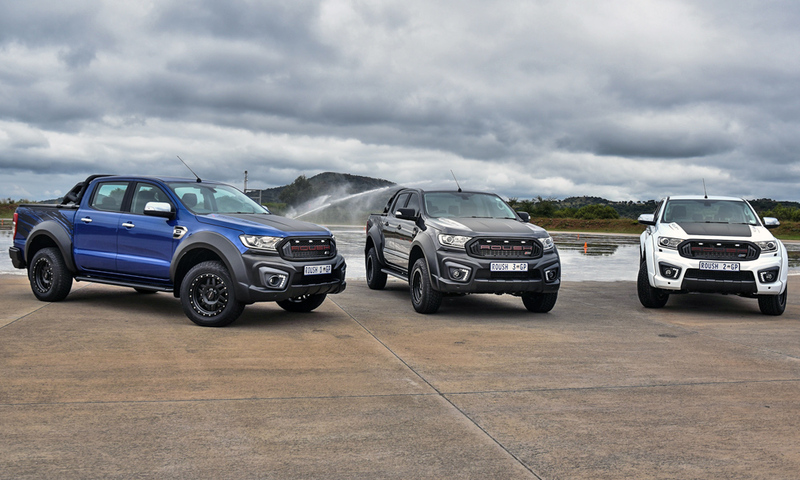 The Roush Ford Ranger bosses all of its competitors in the power department with its 200kW of power and 650Nm of torque. It must be an unruly, manic thing to drive on the road, then? Quite the contrary. It’s hard to believe that it is powered by the same five-cylinder engine that is used in our Mazda BT50 – the two versions are chalk and cheese. In the older generation Mazda, the mill seems less refined, more noisy, the six-speed automatic gearbox an unhappy bedfellow with the 3.2-litre mill. In the Ranger, it is smooth and quiet, and the gearbox reacts quickly and accurately. Clearly the Ford runs on improved software, and with better sound insulation. Boot the Roush Ranger, and the speedometer needle swings around the dial at a surprisingly brisk pace to 160km/h, after which the progress becomes less frantic as the Ford’s aerodynamics come into play. The shove when you boot the throttle at 120km/h though, when the gearbox drops a cog or two, and you blast forward, is really impressive. Also impressive is the uprated braking system. The Pedders Kevlar ceramic brake kit, combined with the Pedders Foam Cell TrakRyder shocks, provide excellent pedal feel, resistance to fade and stopping ability, no matter the speed. Fuel consumption is also not too shabby. If you don’t drive like a hooligan all the time, you can expect less than 11 litres/100km. In the top RS3 specification you get a full custom Roush leather interior, including new leather with red stitching for the steering wheel. There are also custom panels in the door, and a Roush logo embedded in the dashboard in front of the front passenger. 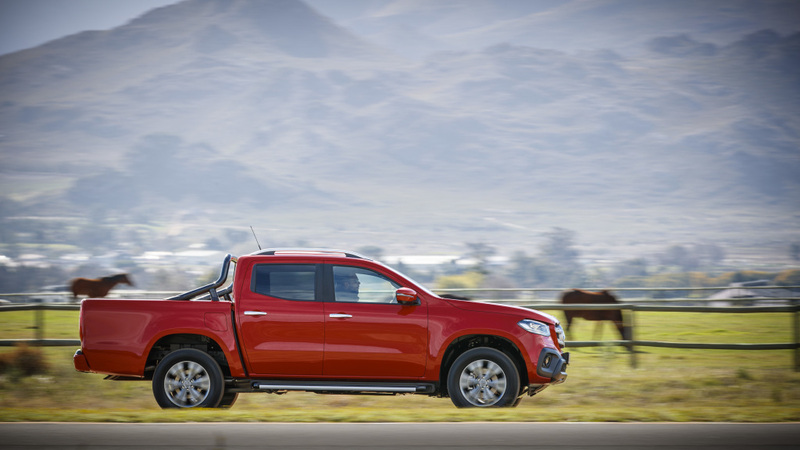 For the rest, you get all the bells and whistles of a standard Ranger, which includes the excellent infotainment system, climate control and tech such as lane departure warning and a collision warning system. Like its predecessor, the MS-RT, the Roush is dished up with a host of aftermarket add-ons that turn a normal Ford Ranger 3.2TDCi into something altogether more spectacular. This includes a Roush front bumper and grille, Roush extended wheel arches, rear bumper, decklid cover, Roush 18-inch wheels and Pirelli all-terrain tyres, a sports roll-over bar, side-steps and a tonneau cover. Also part of the full-fat RS3 package are Roush graphic decals (like a good Ford should, some fans would insist), rubber car mats and window tinting. The Roush Ranger rights a few of the MS-RT’s wrongs. But it’s still an expensive prospect – you can buy a lot of other vehicle for R840 000. Good thing that the RS1 and RS2 options are available then. The RS1 conversion has all the cosmetic bits, including the Roush front bumper and grille, the extended wheel arches, the new rear bumper, the 18-inch wheels and Pirelli rubber, the side steps and sports roll over bar, the high performance exhaust, the tonneau cover, and embroidered head rests and floor mats. This package deal will set you back R130 000. Convince your bank manager to part with an additional R40 000, and you get all of the above, plus a performance intercooler and an aftermarket engine management system that increases power to 170kW. This upgrade includes the Pedders brake upgrade, due to the increased performance potential (but excludes the suspension upgrade). Would we have one, if we had to put our hard-earned cash on the table? Well… maybe not quite yet. The Ford Ranger Raptor is on its way. We reckon it will sell for around the same as the RS3… and the Raptor will be the real, real McCoy, with a bespoke rally suspension, disc brakes all-round, a 10-speed automatic gearbox and a twin-turbo two-litre engine. Time will tell if that two-litre mill will live up to the expectations, or if a RS3’s 200kW five-pot will be the better option.